Take Off Fridays are back at YVR Airport this summer, with free family fun at the best airport on the continent! The 7th annual summer celebration will kick off Friday, July 8th and run every Friday until August 26th from 9:00am to 3:00pm. 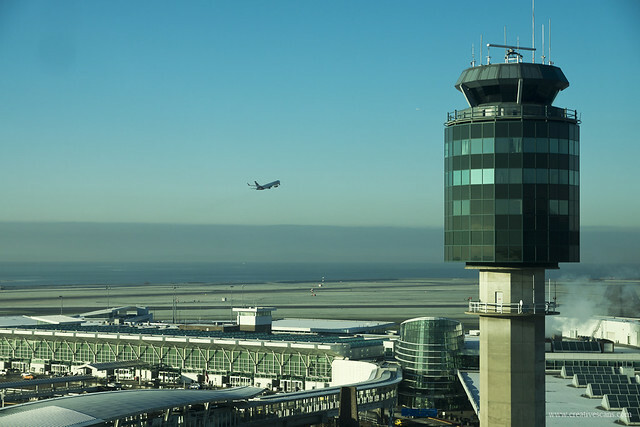 Enjoy delicious treats and lunch specials from locations throughout the airport as well as FREE entertainment including live musicians, DJs, caricaturists, face painters and our very own YVR Paper Airplane Folding Zones. Highlights this year include visits from community partners including: The Vancouver Aquarium Aquabus, TapSnap, The Vancouver Canadians, Canucks Autism Network, and the Coca-Cola Hug Me Machine. In August, the popular Emergency Response Airside Demonstrations will return to the Public Observation Area from 11:00am to 11:30am. Join YVR’s Explorer Tours every Friday at 11:00am in front of The Spirit of Haida Gwaii: The Jade Canoe for a free one-hour pre-security walking tour to learn about our art and architecture. Pick up a voucher from any Customer Information Counter to receive 5 hours of parking for $5 for Take Off Fridays. To save the commute, take the Canada Line which arrives directly at YVR. Visit a YVR Selfie Station in terminal for your chance to win a $1,000 UNIGLOBE Travel voucher plus a $500 YVR shopping spree! Take a photo and use #YVRTakeOffFridays on social media for your chance to win. Looks like some good events. Just want to point out $5 parking compared to $5 per person (adult or child) on top of transit fee when leaving the airport. Transit option is way more expensive, unfortunately. That’s true, but that wasn’t the claim in the post. You can pay $5 for parking or skip the commute (leave the driving to SkyTrain, not worry about parking etc.) and take the Canada Line in, that’s all. Sometimes it’s a bit of an adventure for kids to take the train in too. I think both options are pretty good! I am a worker at YVR and I am wondering why YVR management decided to discontinue Take-off Fridays in the terminal thru July and August? I miss the live DJ and the hug the coke machine.